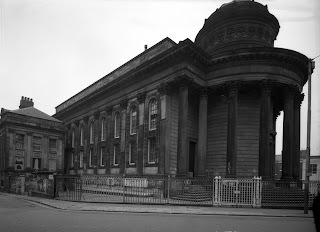 I am constantly on the lookout for relevant articles of historic interest to add to this web page, and try to avoid mundane stories that people have heard many times before, on a recent bus journey into Liverpool I passed the ‘Blackie’ and remembering various snippets of its history, made a mental note to find out what its current status was. Well, I have been pleasantly surprised, a lot has happened there. 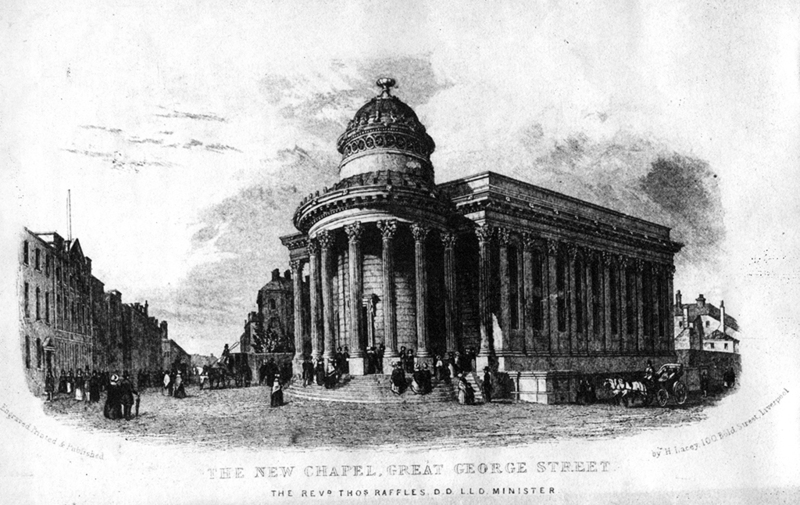 The Chapel was opened 18 months after the first church on the site (built in 1811) was destroyed by fire in 1840. What’s incredible about the huge former Great George Street Congregational Church next to the arch at the heart of Chinatown is the speed of its erection in early days of Queen Victoria’s reign. The plans and designs for the new church were donated by Joseph Franklin, the City Architect. The foundation stone was laid on 7 July 1840 and the magnificent building opened for worship barely 15 months later in October 1841. The chapel cost £13,992 to build and seated almost 2,000. It became popularly known as 'Liverpool's Third Cathedral'. In the years after WWII, the number of worshippers declined, many leaving the city centre for pastures new, and in February 1967 the grand organ fell silent. A year later it was bought by the Peter Moores Foundation and became home to the UK’s first community arts programme, run by Bill and Wendy Harpe. Since then they and the team have provided a feast of community projects, mainly for the local population of this part of the inner city. The dream, though, was always to create a huge multi-purpose cultural and arts centre. Today, the Black-E, formerly known as the Blackie, a name derived because, like many buildings in Liverpool, it was discoloured by a century of soot propelled from tens of thousands of domestic coal fires, and the smoke from the fires created by two world wars, has relaunched itself to build on its tradition as a multi-purpose community arts facility. Now boasting a vast performance space, the city centre has an amazing new venue, a proper arts centre; a space capable of staging anything from boxing to fashion shows to exhibitions and demonstrations, and appropriately a church group holding Sunday services in the building. You can find out more about the Black –E by visiting their website on the link below.